With 95,000 miles of coastline, two distinct oceans, and the world's largest gulf, the U.S. offers up an endless platter of seafood options. From tiny coastal seafood shacks to upscale swanky restaurants, there are many ways to enjoy the nation's seafood bounty. But where can you find some of the best in the country? Read on to find out. Summertime on the Eastern Shore of Maryland is a paradise for crab enthusiasts. Thousands of people flock to the area for the chance to crack some of the freshest crabs in the country on brown paper covered tables. The area rakes in a third of all the blue crabs that are harvested in America and it has become an iconic staple. The pièce de résistance? A generous amount of Old Bay seasoning—a glorious blend of 18 spices that pairs perfectly with steamed crabs and makes them finger-linkin' good. Our recommendation: The Crab Claw Restaurant for famous Maryland Blue Crabs and award-winning crab cakes. Located right on the water, it's a great place to enjoy a classic seafood feast and watch the boats glide across the bay. Pike Place Market in Seattle is ground zero for locals and visitors wanting an eye-popping glimpse into some Puget Sound seafood action. With more than 10 million visitors annually, the seafood market is abuzz as fishmongers toss huge Pacific salmon to each other and take orders amongst the countless stalls. 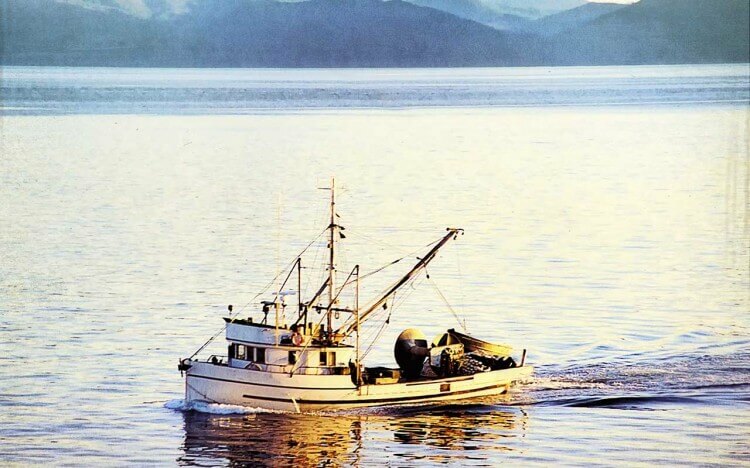 The cold, clean waters of the Pacific Northwest make this area a fromidable force when it comes to seafood. Another great cultural tradition is the harvesting of their world-famous fresh oysters. There are five different species of oysters in the region which allows for many different flavors and styles—so you're bound to find one you enjoy. Our recommendation: Elliott's Oyster House is one of the top seafood and oyster restaurants in America, and based on the delicious food, we're not surprised why. This waterfront Seattle institution serves up an expansive selection of oysters and sustainable seafood options in their cozy dining room. Located at the confluence of the Gulf of Mexico and the Mississippi River, New Orleans has some of the freshest seafood selections in the United States. From buttery fried oyster po-boys to savory gumbo to a casual backyard crawfish boil—seafood is deeply rooted in the historic overlapping cultures of this city. Different types of seafood are served up in an infinite number of ways, so you can't pass up a trip to the Big Easy without a taste. Our recommendation: Located on Bourbon Street in the French Quarter is Red Fish Grill, a laidback spot for great Cajun seafood. Try out their signature barbecue oysters in the bustling dining room. This restaurant is so seafood focused, that the chef makes sure to not put more than three land-based dishes on the menu each night. Newport, Rhode Island has been a shipping and whaling center for more than three centuries, and sits on a bluff overlooking the Atlantic at the head of New England's largest estuary, Narragansett Bay. Head down to the waterfront for restaurants and wholesalers who offer some of the best seafood that the cold waters have to offer. Enjoy succulent steamed lobster—either whole or served up in a classic lobster roll—New England clam chowder, and a variety of oysters. But what you're really not going to want to miss is the quintessential New England clam shacks. Chow down on freshly fried clams, fish n' chips, or a "stuffie," which is a large Quahog clam shell stuffed with chopped clams, lobster, shrimp, scallops, bread crumbs, garlic, and herbs all baked and served hot. Our recommendation: Flo's Clam Shack is a New England institution, so be prepared to brave the crowds—but we promise it's worth it. Order up the popular fried whole belly clam roll and enjoy great ambience and service. Jetting out more than 100 miles into the ocean, the Florida Keys is a haven for fresh fish and seafood that's harvested daily. One fan favorite is the Key West pink shrimp, which is generally sweeter than other crustacean species. Try it sauteed in scampi, fried, or steamed and served with a savory sauce—you can't go wrong! Stone crab claws are another popular delicacy. Because most of the meat is in the claws, typically the claws are removed immediately and the crabs are ttossed back into the ocean to regrow their claws. Stone crab claws are usually served up steamed with butter or chilled mustard sauces. And, of course, don't forget to try the different types of snapper that are caught out in the deep Atlantic. Our recommendation: Visit the quirky Blue Heaven Restaurant in Key West for a unique dining experience. Located in a century old building, the charming restaurant has eclectic beachy artwork, mismatched furniture, a fun dance floor, and roaming cats and chickens in their open-air courtyard. Sunday brunch is incredibly popular for their pancakes and lobster eggs benedict, but don't forget to leave room for key lime pie!